Hey, everyone!! 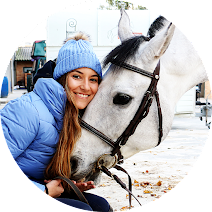 Last week I received my order from Epplejeck and a friend asked me if I could share my favorite tack stores here on the blog. I thought it was such a good idea that I've been thinking about it the entire week! This store is currently my favorite! My last purchase was at this store. 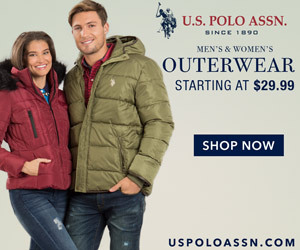 They have a great variety of products and although they don't carry all the brands I wish they did, they do carry many that are really well known and some that aren't but are as good as the fancy brands. They also have their own brand and there is a new promotion almost every week. Regarding my personal experience: I found everything I needed (and more), I thought the prices were fair and the website is user friendly. I placed my order on September 30th by the end of the day and although I didn't receive my tracking number as they said I would on an email, it arrived on October 8th which I thought was quick. Divoza has a special place in my heart as it was the first equestrian megastore I visited in my life and it is also the one that marked the beginning of my tradition of visiting a tack store in every country I visit. Just like Epplejeck, Divoza is also a Dutch store and offers a great variety of products. They also have their own brands (Pagony and Mondoni) and sell brands that match every budget and style. My experience: I'm not talking about my visit to their store (you can read about that here). Last year I ordered a pair of breeches and a salt lick from their website. I don't remember exactly how much time it took to get here but I remember that it didn't take much. I had to return the breeches because I didn't enjoy their fabric and the process was super easy and the refund was quick - they are very professional. My big secret that isn't a secret at all, Hope Valley Saddlery!!! 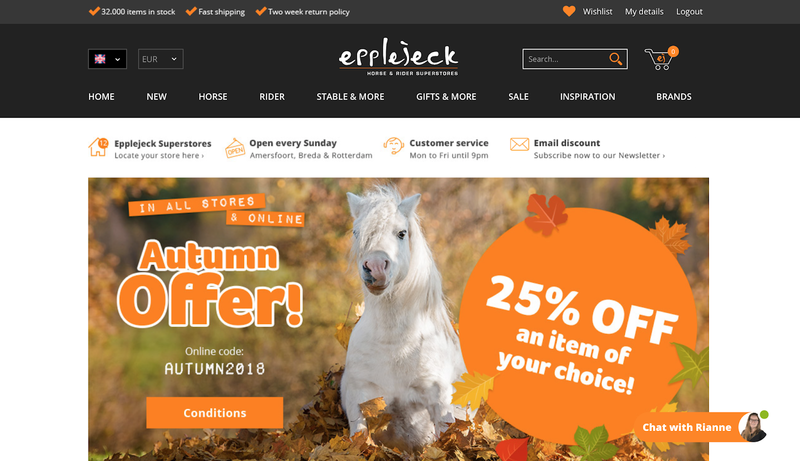 When I need something nice but I don't feel like spending too much money, this UK based tack store is my solution. I've never seen a store that has so many products on sale and, believe me, you will want to check them because there are a lot of discounted products from big brands like Kingsland! 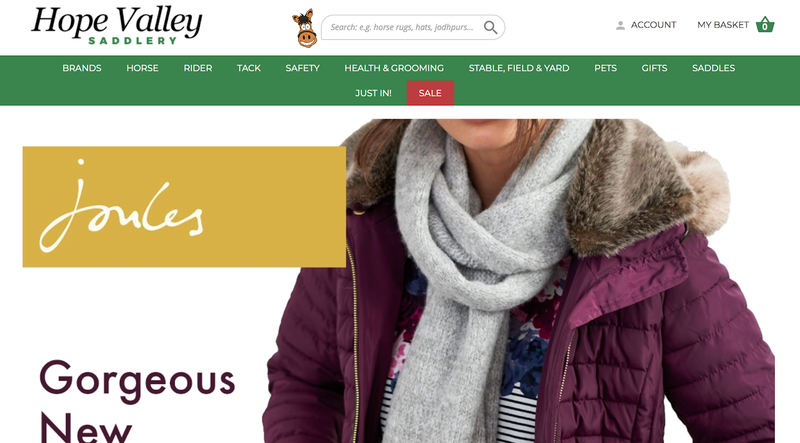 Besides the brands we all know, they also sell many brands from the UK (Joules, Caldene, John Whitaker and so on). My shopping experience: I have - obviously - bought a pair of Kingsland breeches from them a few years ago. They were much cheaper than their usual price so I thought it was a bit suspicious. I believe I ordered them around Christmas time and as they were taking a bit to arrive, I emailed them and got a quick reply. They arrived a few days later and the breeches were in perfect condition, YAY! 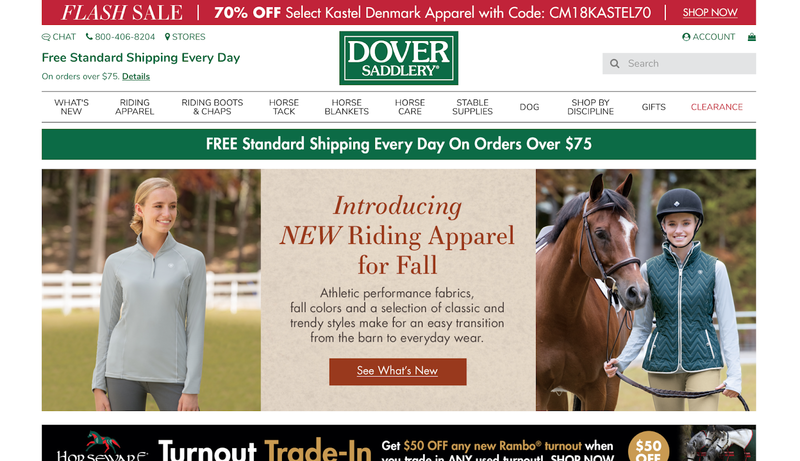 I have never bought anything from Dover's website but because I loved their service when I went to one of their stores in the US and because I know international shipping is an option, I had to include this store. Regarding variety, this store offers a huge selection and if you live in Europe and don't know it yet, be ready to find amazing things that you have never seen in Europe - that is always the best part for me!! If you are American, Smartpack is obviously an option for you and you are very lucky!!! 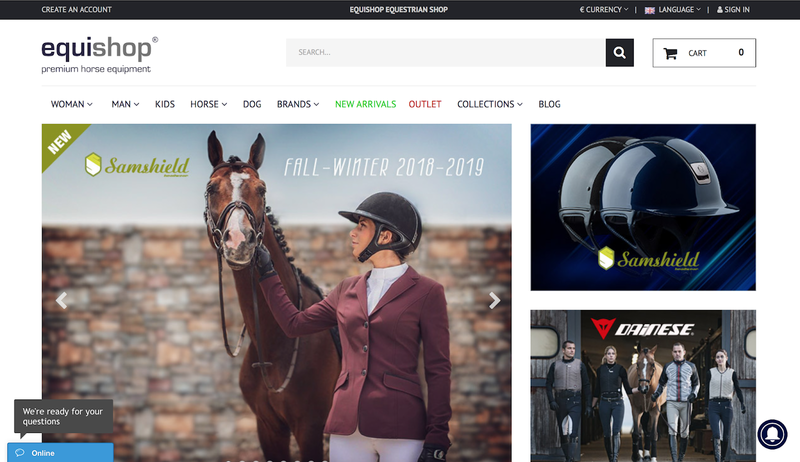 This is the store I visit when I want to check new collections and products from big brands that are harder to find in other stores (Samshield, Equiline, Prestige, etc.). I have never bought anything from them (yet!!) but I'm sure I will in the future. 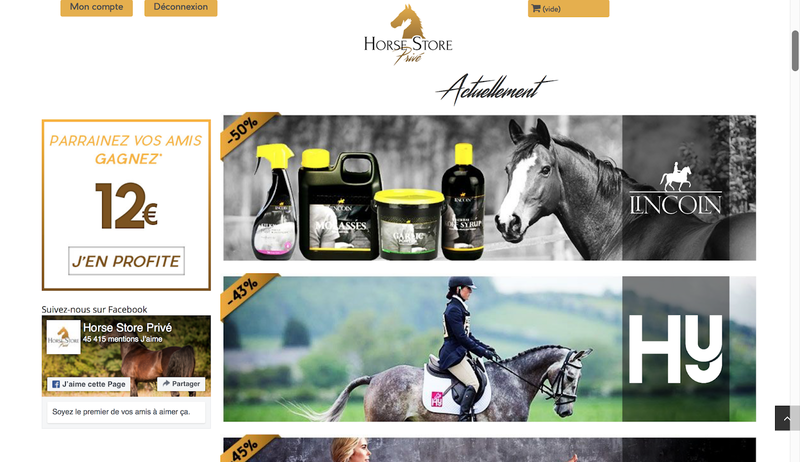 This is a different type of store as you have to be registered to have access to the sales and it is written is French. Every week they offer products from different brands and the prices are lower than those you would find on regular stores. However, we have to be quick because their quantities are limited. The only things I don't like are: sometimes they sell brands that aren't horse related and they only ship to a few countries outside the EU. My personal experience: I have bought a clipper from them and it was a great deal. Although the website is French, it was easy for me to understand everything and the delivery was fast. Do you want to share other stores with me? Leave a comment below!